If you drive anywhere from A to B you cannot help noticing that the UK is in the grip of a house building boom. The political elite who have encouraged mass immigration for years now tell us the country now needs millions of new homes to meet the demand their policies have created. The construction industry is also being encouraged to build – build – build as a way of getting the sluggish economy growing again. These are the realities of Britain in 2015 and we cannot escape them. However, for the sake of future generations we should, as a country, be ensuring this massive house building expansion is skillfully managed. We should also be minimizing its impact on the remaining green spaces within our small island home. Love it or hate it, Cranbrook new town is an example of how major housing project should be planned. The plan being executed is holistic with the necessary infrastructure being created to support the needs of the new community. This includes bypasses, extra roads, new junctions to handle increased traffic, cycle ways, a railway station, school, a medical centre and shops. The developers are working to a framework created by local government. Now contrast this with what is proposed for Clyst St Mary. It was agreed and accepted years ago that the village had to grow in a sustainable and proportional way to meet the overall demand for extra housing. So an expansion of 80 new houses was agreed and approved. That represents about a 16% increase in total dwellings which is sensible. That is not enough for the greedy property developers who want to cash in on the house building boom. They want to get their hands on as much land as they can. So what we are witnessing is a land grab for profit. 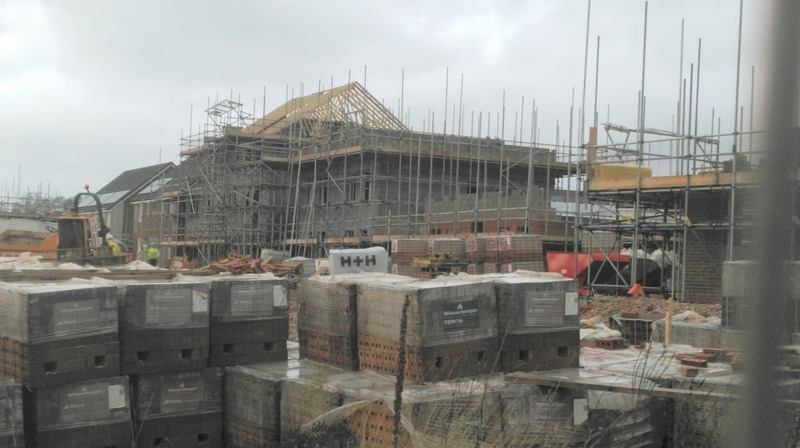 If the 80 houses already approved are included, the total number of new dwellings proposed for Clyst St Mary is around 500, that is a 100% increase in the size of the village. Common sense tells us that the current road grid and infrastructure will not cope. There is no overall vision for the area and thus no holistic development plan. It seems each planning proposal is being considered on its own merits and in isolation. Do we really want to be part of an unplanned urban sprawl as Exeter spills easttwards beyond the M5 Motorway. Even if you think this inevitable in the long term, surely we have a right to expect the local authority to create and then implement a holistic housing development plan for East Devon – instead of leaving us at the mercy of property developers. Stop the potential urban blight now! If you agree write to East Devon DC before it is too late. This entry was posted in Blog and tagged Clyst St Mary, East Devon District Council, Express and Echo, Planning Proposals, Save Clyst St Mary by SaveClystStMary. Bookmark the permalink.